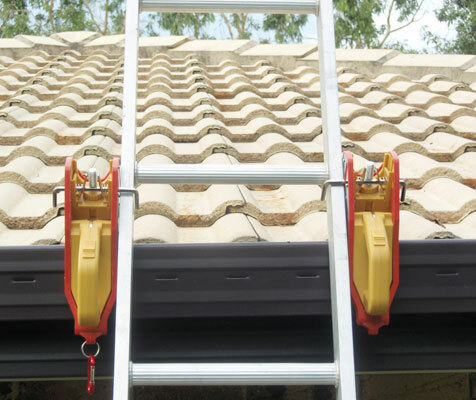 Most home owners will attest that a ladder is one of the most practical tools to have in any home. However, care has to be taken when using ladders as they can prove to be dangerous if not used properly and proper safety precautions followed. The following are some safety tips that will ensure that you and everyone around you is safe when using ladders. Tip 1: Use the right ladder for a given job. Most ladders can be used for various jobs around the house, but using a ladder that is either too slippery or too small to be used in a certain area will only lead to falls and injuries. Tip 2: Follow all manufacturer directions and where possible, get appropriate training on how to use the ladder in question. Tip 3: Check your ladder for damages every time you want to use it. A ladder might get damaged without your knowledge and this might end up compromising your safety. Tip 4: Make sure that the bottom and top of the ladder have adequate support; enough to accommodate your weight. Tip 5: Do not stand ont the top rung of the ladder. The furtherest you should go is the third rung from the top of your ladder. Tip 6: Do not use a ladder outside when it is windy or it’s raining. Tip 7:Wear comfortable, non slip shoes before you climb up a ladder. Tip 8: Face the ladder as you climb up and use the rungs instead of the side rails to get to the height that you want. Tip 9: Do not climb up a ladder with tools in your hands. Instead, put them in a tool belt that can be easily fastened around your waist. Tip 10: Get some help when moving around heavy ladders that are difficult to carry. Avoid overreaching as this can make the ladder topple over. Instead, climb down and move the ladder close to the area that you want to reach. Or use a Lock Jaw Ladder Grip to keep it secure! Tip 11: Get rid of all hazards like cords and other objects in your working area before you set up the ladder. Tip 12: Do not place objects under the ladder in a bid to increase the height as this reduces the stability. If you realize that your ladder is too short for the place you want to reach, just get another ladder that is suitable for that job. Tip 13: Read all care and warning labels that come with your ladder to ensure that you are using it as intended. If you follow these tips, you will ensure your own safety and the safety of others around you.